Prosecutors say Paul Manafort gets special treatment during his pretrial confinement and there is no reason to delay the case against him. "Among the unique privileges Manafort enjoys at the jail are a private, self-contained living unit, which is larger than other inmates' units, his own bathroom and shower facility, his own personal telephone, and his own workspace to prepare for trial," the prosecutors wrote. 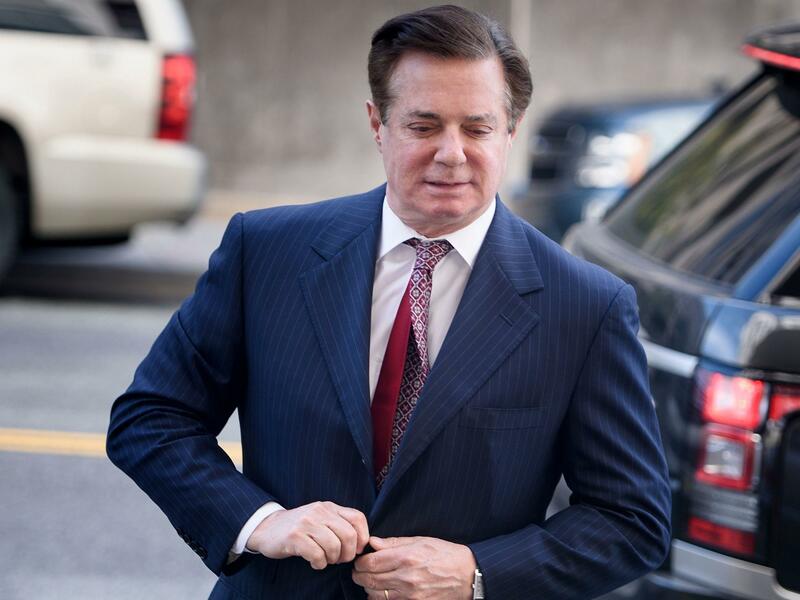 In monitored phone calls at the Northern Neck Regional Jail in Warsaw, Va., Manafort has told others he is being treated like a "VIP," the government team added. The back-and-forth matters because Manafort has cited restrictive conditions of his pretrial detention as a reason to postpone his case on bank and tax fraud charges until at least the autumn. Manafort's lawyers said he had "very limited access to his attorneys and the records." But the special counsel's team reported on Wednesday that Manafort told an unnamed person by phone that "I've gone through all the discovery now," only days before his lawyers filed a motion to continue the case. Prosecutors also told Judge T.S. Ellis III that Manafort has had multiple visits with his legal team each week. Government lawyers reported Manafort had over 100 phone calls with his attorneys in the past three weeks. They made clear they were not monitoring what was discussed in his calls with lawyers but rather relying on a prison telephone log to note the calls that were taking place. The special counsel's lawyers reported that the jail in Warsaw doesn't allow prisoners to send emails but that Manafort "appears to have developed a workaround" by reading and drafting messages on a second laptop that's brought in and out of the jail by his legal team. "When the team takes the laptop from the jail, it reconnects to the Internet and Manafort's emails are transmitted," they wrote. The government team also suggested Manafort may have other reasons for seeking to delay his case in Virginia. They said they gained access to another prison call on June 20 in which Manafort spoke with someone skeptical about delaying the Virginia case and bringing forward a separate trial in Washington, D.C.
Manafort told his listener to "think about how it'll play elsewhere. ... There is a strategy to it, even in failure, but there's a hope to it." The context for Manafort's comment wasn't clear, but he is facing charges related to his work on behalf of clients overseas, including the onetime government of Ukraine and a powerful Russian oligarch. Manafort lawyer Jay Nanavati responded with his own court filing late Wednesday. Nanavati said the government's arguments were largely "self serving and inaccurate." He said Manafort is not doing any kind of "email workaround" of the sort the prosecutors described. Rather, he said, Manafort is providing information to his attorneys, who then act on the information after they leave the jail. As for listening in on Manafort's phone calls, Nanavati wrote: "Armed with personal conversations between Mr. Manafort and his family, the special counsel selects snippets to support its version of events. The special counsel does not pause to consider the reasons a detained defendant might have to make his situation sound better when speaking with concerned friends and family." Ellis, the judge in the Virginia case, has directed lawyers for both sides to appear on July 17, to argue about whether the case should be delayed or moved. Earlier this week, the judge had ordered that Manafort be moved from the Northern Neck jail, more than 100 miles away from his lawyers, to the Alexandria Detention Center near the courthouse. Ellis said he made that decision in response to Manafort's complaints about the difficulty in getting ready for the trial. But soon after the judge issued his order, Manafort's lawyers essentially told the judge "never mind" and urged the court to keep Manafort in his current jail in Warsaw. The judge made a different call. In a document dated July 10 but made public on Wednesday, Ellis wrote: "It is surprising and confusing when counsel identifies a problem and then opposes the most logical solution to that problem. The dissonance between defendant's motion to continue and motion opposing transfer ... cannot be easily explained or resolved." Ellis concluded that Manafort's ability to prepare for trial "trumps his personal comfort." He instructed the U.S. Marshals Service to move Manafort to Alexandria, as he initially planned.